RPA is software that replicates the actions of a human being interacting with the user interface of a computer system. Robotic Process Automation is software that uses "bots" to replicate the actions of a human in a typical user interface of a computer system. This technology is incredibly well suited to reliably execute repetitive processes in a more efficient and less error-prone manner that humans can. Examples of this kind of work include Insurance claims processing, credit card applications, healthcase patient registration and data cleansing. RPA products are usually fairly dumb. They rely on training from a human and then just repeat the actions they are taught over and over until told to stop. AI, however uses Machine Learning and eventually becomes self-taught, optimizing processes along the way. RPA is suitable for repetitive rules-based processes where compliance is important and accuracy is critical. AI is much more useful if there is any form of ambiguity to the process, such as where it is dealing with unstructured data (e.g. social media or email) or where there is vast quantities of "big data". 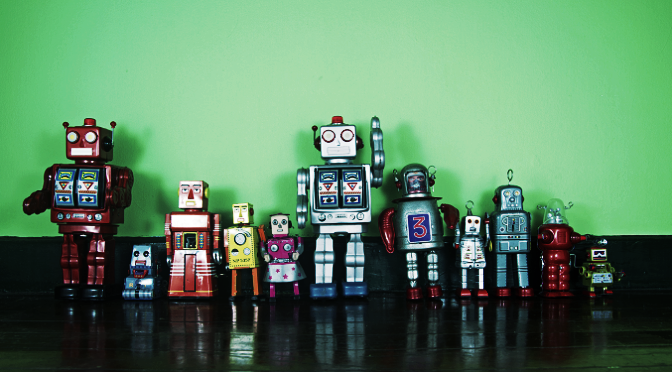 Some people see AI as being the next logical step for RPA, something that it will grow into. Others see such a large gap between applications that the two are essentially dealing with different problems. Established RPA systems do not require programming. They are designed to be business friendly and are essentially the modern equivalent of recording a macro. Many of these system offer a graphical user interface that allows a user to describe a process by dragging, dropping and linking icons. The intent is for the business process owner to be able to direct the RPA with the relevant instructions, and then to set it running. Business benefits of RPA include repeatability, reliability, accuracy and ultimately operational cost savings. RPA is often the technology behind the headlines that automation will be replacing a signficant percentage of jobs. There are a number of specialists with RPA solutions including Pega Systems, Automation Anywhere, NICE, Verint, BlackLine, Blue Prism, Datamatics, HelpSystems, UiPath and Conduent.